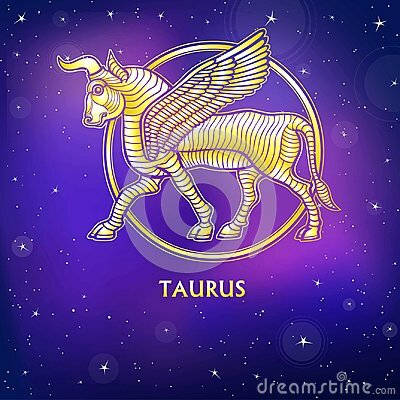 Zodiac sign Taurus. Character of Sumerian mythology. Gold imitation. Zodiac sign Taurus. Character of Sumerian mythology. Gold imitation. Vector illustration. Background - the night star sky.Print, potser, t-shirt, card.